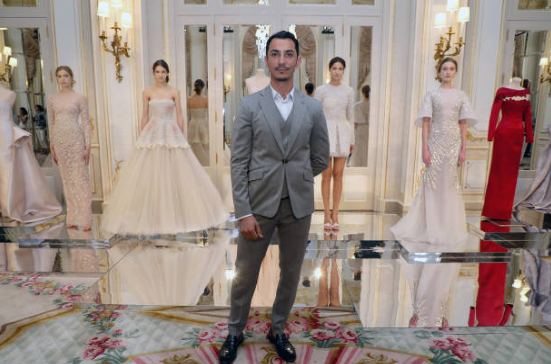 The Middle East market is home to many local fashion designers who have no access to finance, said Rami Al Ali, a designer from Dubai whose couture and clothing creations are sold in department stores such as Bloomingdales and Harvey Nichols in the Gulf region. Speaking to Arabian Business, Ali said the lack of financial support from local designers has prevented many from developing in the region. "There are too many designers, too many products and not enough money ... We produce almost the same product and target almost the same customer. But I have five people on my team, while global players have a thousand, "he said. "It's getting more and more difficult by the minute ... People see the façade: fashion shows, models, fashion weeks, beautiful features, but they do not know what's going on ... It's not the fashion weeks that will keep the industry alive. It is the support of banks and investors. That's the biggest problem designers are facing in the region, "he said. While Ali's creations are sold to a client base of up to $ 100,000, including regional and Hollywood celebrities such as Helen Mirren, Kerry Washington and Jennifer Lopez, many local designers are struggling in the regional market due to the abundance of existing and established international ones Brands. "Why would people pay $ 500 for a local product if they can pay $ 600 for an international brand?" Ali said. He points out that banks are particularly cautious due to the novelty of the regional fashion industry and its role as an importer of products. "This region has been an importer since its inception. We imported everything, including fashion. Therefore, it is very difficult to change the mentality and let them believe in the local product ... If you are a fashion business and want to use a bank as a support for you, what do you compare your business with? How do you trust the business model if there are not many successful ones on the market? "Banks are looking for someone who has been rated successfully. For a person to be successful, it must first be supported. The minutes in which banks smell money will come. Show them that you make money and they will come, "he added. Despite the successes in the region, Ali has failed to secure a physical retail market outside the Arab world. However, he is currently looking for investors to expand his brand internationally. According to the Dubai Design and Fashion Council's (DDFC) MENA Design Outlook 2014-2019, the region's fashion industry is expected to reach $ 55 billion by 2019. This corresponds to an average growth rate of 6 percent per year, but also local designers and the role in the market remain unclear. Follow us on Twitter and Linkedin, follow us on Facebook and subscribe to our YouTube page, which is updated daily.